The industrial style is about displaying raw materials, from exposed pipes and ducts to brick walls and concrete flooring. Incorporating the industrial style into homes, retail and commercial outlets is a fast growing trend, so much so that we at Venuescape have compiled a list of event venues that have successfully incorporated the industrial style into their spaces. Here is a list of industrial-inspired event spaces around Kuala Lumpur where you can have your next event. Slate is Kuala Lumpur’s latest industrial inspired space. Nestled along Heritage Row, their interior will draw you in for they have a picture perfect space which speaks for itself. Pairing white brick walls with Edison styled light bulbs to create a cozy atmosphere and black finishing creates a sleek and elegant look. Their opened and accommodating space is ideal for corporate events ranging from media launch, cocktail parties and appreciation nights. Read more about Slate here and book them here today! Base 26 is a double-storey event space which incorporates most of the industrial elements in its space. From its concrete flooring, walls and counter top to exposed bulb lighting and wiring, Base 26 creates a comfortable urban feel. By playing with textures and adding plush sofas, the striking contrast instills personality. Base 26 can host your parties, birthdays, corporate functions and events, networking parties, brainstorm sessions and business meetings. Read more about Base 26 here and book them here today! The unfinished look created by RUANG Shah Alam combines bare and rough edges with a clean and flat finish. Natural, earthy shades of brown soften the edges while grey adds colour. 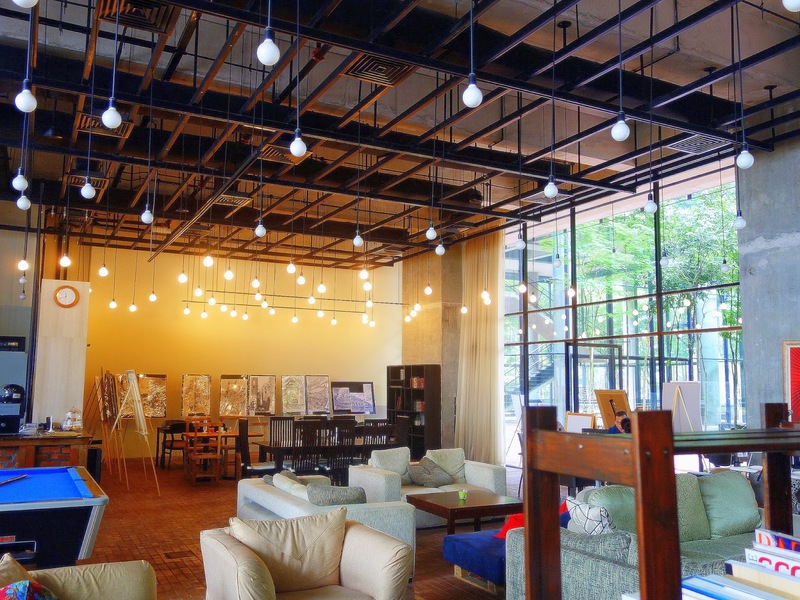 RUANG Shah Alam is set over two floors and it accessorises its bare unfinished space with the iconic Edison style bulbs. This does not only add lighting but it adds character against brick and concrete walls. 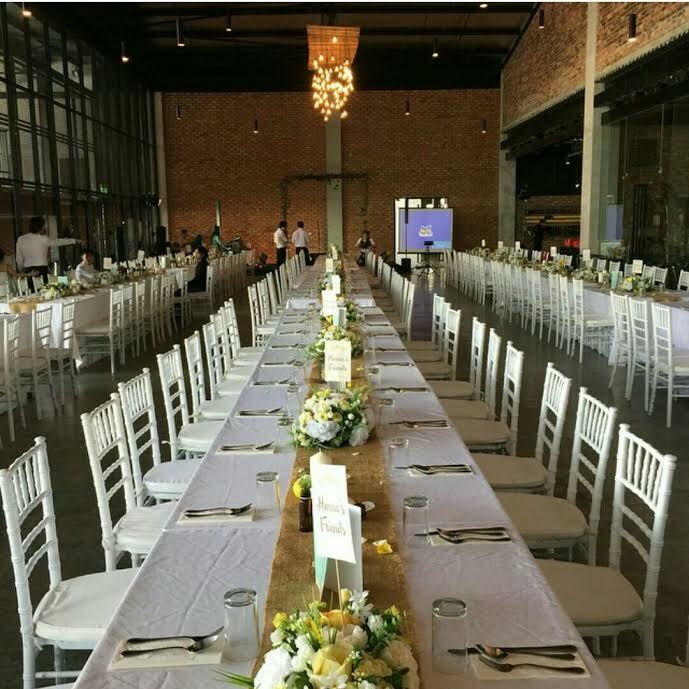 RUANG is a great venue for weddings, akad nikah (solemnization), aqiqah (baby shower), birthdays, family functions, corporate events such as press conferences, annual dinners, product and media launches. The Glasshouse at Seputeh incorporates the best of most worlds. Its industrial style against the indoor garden sets the right atmosphere for intimate celebrations. The indoor garden complements the hard surfaces of the walls. Glasshouse combines modern designs with the industrial style and the results are just beautiful. Glasshouse is available to host weddings, private events, corporate functions, product and media launches, annual dinners, parties, as well as company meetings and townhall sessions. Read more about them here and book them here today. Talent Lounge is an innovative space which fosters creativity thereby forming a highly attractive event space which combines exposed pipes and ducts running the lengths of the ceiling, brick walls, and wood and metal surfaces. Its space is creative, stylish, modern yet industrial and strikes a contrasting personality with the combination of plush sofas and rough edges. Talent Lounge provides its space for everything talent related, from acoustic gigs to open mic sessions, as well as parties and family gatherings. 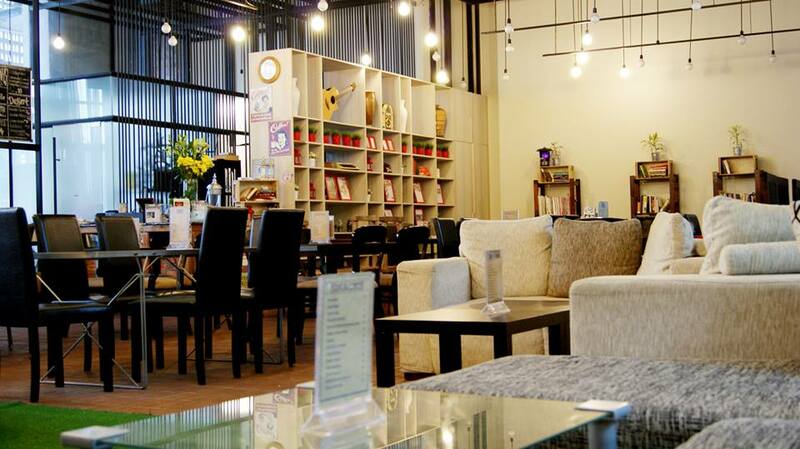 It is also open to host corporate events and private functions. EX8’s exposed brick wall is the ultimate industrial style statement. Its raw finishing, exposed ceiling and hanging Edison bulbs create a warm and inviting atmosphere. Its floor to ceiling glass windows against the brick walls combines contemporary and vintage styles to create this unique look. EX8 is a beautiful space for weddings, corporate events, private functions and family functions. To book EX8 or for more information, drop us a message below and we will be in touch with you. We hope you draw some inspiration from these spaces. If you would like to create the industrial feel for your home, click here for some ideas. All these spaces above are great venues for events, small and large. Do get in touch with us here or contact us at +6016-720 0347 to inquire about the price or to book any of these spaces for free! Comment below if you know of any industrial inspired event spaces around Kuala Lumpur. If you liked this article, please hit like and share it with your friends. Dear Sir/Madam, Greetings from ECOVIS. WE would like to organize annual dinner on 17th December 2016 at EX8,estimation of 160pax, however, we are still surveying on the event place. We are prefer dinner with games, awards, speech and more. As we understood from your website, secret garden specialized in providing service for public to organize corporate events, weddings, party and more. Looking forward for your kind assistance. Thank you.